Hopes, dreams and Moonbeans! 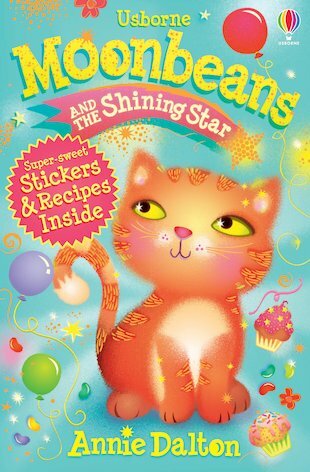 When Jax gets into a tangle with the snooty Ruby-Rose, can her magical moon cat help out? Ever since she became the girl in the Sparkle Fluff advert, Ruby-Rose has thought she’s better than everyone else. So Jax cannot even begin to figure out why she needs a little moon magic. But when Ruby-Rose’s dog, Betty Boo, asks Jax and Moonbeans for help, Jax springs into action, determined to make friends with the girl. She soon discovers that things are not always as they seem, and that it takes more than a burst of fame to make someone into a shining star… Join Jax and her magical cat in this second sparkly adventure!